One of the key areas that the Centre for Excellence in Mining Innovation (CEMI) is working on is exploration (new deposits, expanded mines) and geophysics, both surface and underground, which is strategically important to mining sustainability. A partnership between CEMI, Wallbridge Mining Company Limited and Western University (Western) has been established to study one of the most important mining districts in Canada–the Sudbury Structure. This partnership is supported with funding from the Natural Sciences and Engineering Research Council of Canada, the Ontario Centres of Excellence, and Mitacs. Since the discovery of Nickel-Copper (Cu-Ni) ores in 1883, the Sudbury region has grown to be the largest and most profitable mining district in North America, with past production plus current inventory, using today’s prices, estimated at $400 billion. Together with Wallbridge exploration staff, the project involves 7 graduate students (4 MSc’s., 3 PhD), 3 post-doctoral fellows, and several undergraduate students working alongside Dr. Gordon Osinski of the Western University. Other collaborators at Western have been brought on board, including Drs. Neil Banerjee, Audrey Bouvier, Richard Grieve, Robert Linnen, and Philip McCausland. In June, 2015, Dr. Osinski was awarded a renewal of his NSERC IRC (Industrial Research Chair). Named the NSERC/MDA/CSA/CEMI Industrial Research Chair in Earth and Space Exploration, the award for $750K covers a 5-year period. The primary research goal is to further the understanding of large-scale impact-related processes and structures that control mineralization in the more non-traditional Cu-Ni-PGE ore deposits located distal to the Sudbury Igneous Complex (SIC)-footwall contact at the Sudbury impact structure. The research aims to answer a series of questions concerning the origin of the so-called “Sudbury Breccia”, host to footwall vein deposits, and Offset Dykes at Sudbury and their mineralization. Several competing models exist for the origin of both the Sudbury Breccia and the Offset Dykes, which prevents the development of robust exploration strategies. This project involves significant fieldwork, with mapping, sampling, and geophysical surveying, and is aided by remote sensing data and the use of modern field portable instrumentation (e.g., X-Ray Florescence) and data collection platforms (e.g., GIS-enabled PDAs and tablets). The field component of this research is focused on investigation the underlying structural controls on the emplacement of the Offset Dykes and offset ore bodies and the Sudbury Breccia. Detailed 1:50 mapping of outcrops is being conducted in order to determine how the different Offset Dyke phases relate to one another, to the SIC, and to sulfide mineralization. Follow-on laboratory work conducted at Western University is largely being carried out in the new Earth and Planetary Materials Analysis Laboratory (http://epma.uwo.ca). The centrepiece of this lab is a state-of-the art field emission electron microprobe, which provides imaging and analyses capabilities at the micron to nanometre scale. 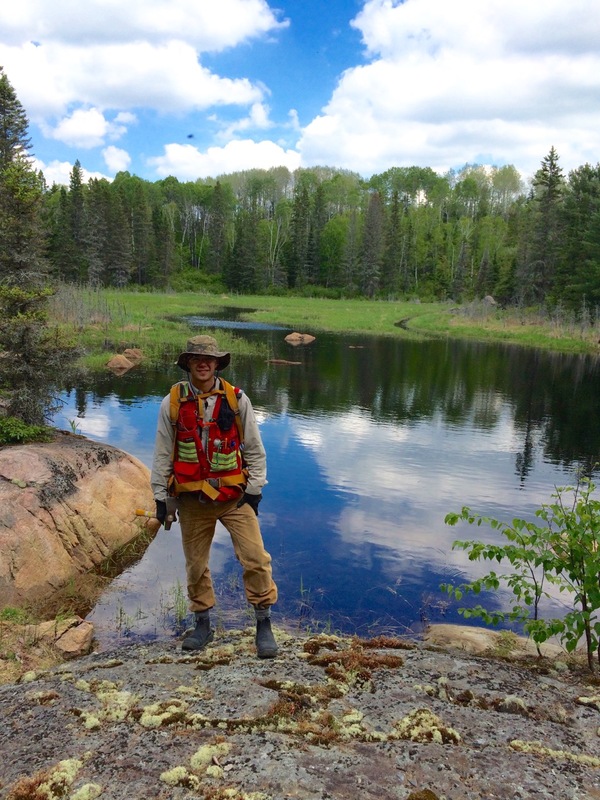 When coupled with regular optical microscopy and bulk geochemical analyses, this laboratory work seeks to understand the origin of the different Sudbury Breccia and Offset Dyke phases and, in particular, the origin of the sulfides and the controls on mineralization. The goal is to establish a set of criteria to determine what makes a particular Sudbury Breccia and Offset Dyke locality more likely to host economic mineralization. This innovative research also utilized knowledge from other meteorite impact craters on Earth and Mars to better understand the Sudbury Structure, which at ~200 km in original diameter and 1.85 billion years in age, is one of the largest and oldest meteorite impact craters on Earth. “Gord and his team are showing that by combining diligent field investigations with modern remote sensing and lab-scale laboratory technologies new insights into the origins of valuable ore deposits are still possible, even in 100-year old mining camps!” (Damien Duff, VP, Geoscience and Geotechnical R&D, CEMI). To read this article in the Ontario Mining Review Spring edition, please visit their publication online here.